This quick and easy recipe is all you need for a quick startup business. Make an extra income this Valentine’s season with this recipe below. 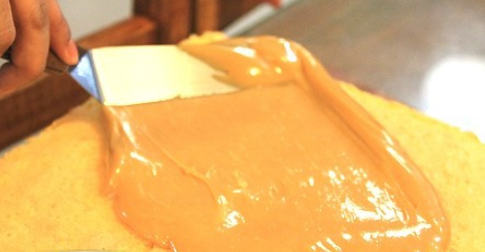 Originated in the southern part of Luzon, yema cake is a childhood favorite for most Filipinos. This two-layered chiffon-type of cake has a sweet and creamy combination. With milk and eggs as its main ingredients, it delivers a rich taste that everyone loves. There may have been a lot of yema cake variations these days, but nothing beats the original. The dripping yema frosting upon slicing it is already enticing to eat not to mention the soft and moist texture of the cake. It’s definitely worth a try. Baking a cake is a great business idea to put up because it is not seasonal. From occasions like birthdays and reunions, cakes can serve as a gift or even as a simple dessert everyone can munch on during small gatherings. Special occasions like Valentine’s Day are just one of the few events this business can take advantage of because of the high demand for it. If you think it might be too late to put up a business to keep up with the Valentine’s season, then you might want to consider this yema cake recipe and make an extra income out of it. 1. Preheat oven to 350⁰F. Grease the pan and line the wax paper. Set aside. 2. Combine cake flour, baking powder, salt, and sugar. 3. Add the egg yolks and oil. Mix well until it is smooth in texture. 4. In a separate bowl, beat the egg whites and add the cream of tartar. Gradually add sugar while mixing until you’ve reached the right consistency. 5. Combine both mixture and fold. 6. Pour the mixture onto the baking pan and bake for 30-40 minutes. 1. In a pan with low heat, combine condensed milk, evaporated milk, and egg yolks. 2. Cook the mixture until it reaches a slightly thick texture. 1. Cut the cake into two equal layers. 2. 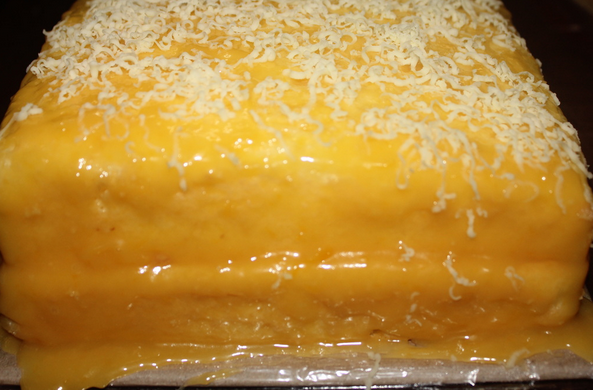 Spread the yema filling on top of the first layer then cover it with the second cake layer. 3. Repeat the same procedure on the second layer of the cake. 4. Garnish with grated cheese on top.